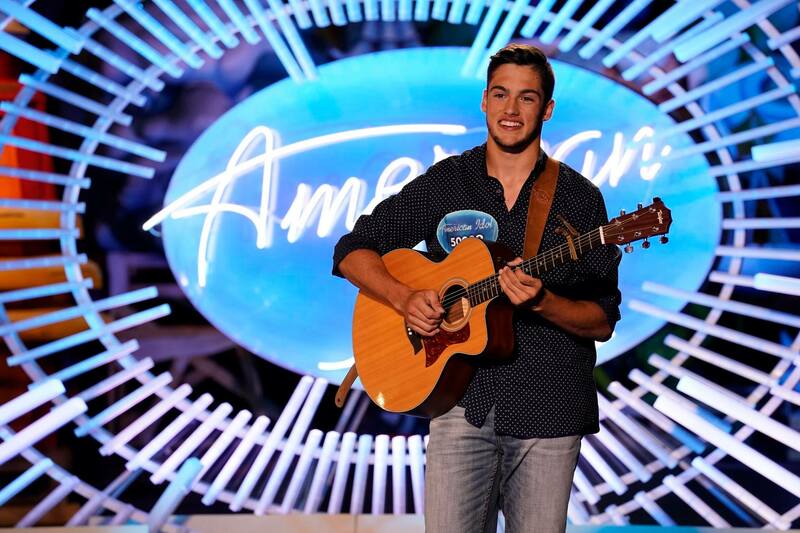 The ‘American Idol’ journey is over for Benton’s Garrett Jacobs. Jacobs was eliminated from the competition Monday night after failing to receive enough votes from America and a saving vote from the celebrity judges (Katy Perry, Lionel Richie and Luke Bryan) to continue in the competition. He finishes the show’s 16th season as a Top 14 contestant. Jacobs performed Creedence Clearwater Revival’s ‘Have You Ever Seen the Rain‘ on Monday night’s live show. Luke Bryan said it was a good song choice. Katy Perry agreed, adding that this particular performance was the best he’s ever sounded on the show. However, the performance wasn’t enough to save him. Following his performance, Jacobs said it wasn’t the “ideal result” he was hoping for. “I went out there and gave it my best,” he said on the show. Last week, Jacobs hit the stage with Colbie Caillat for their Top 24 All-Star Duets performance in front of a live audience. The duo sang a cover of “Lucky” by Jason Mraz & Colbie Caillat. Jacobs, 18, is a senior at Benton High School and a worship team leader for the River Valley Church youth group in Bossier City. He has been honored by the Town of Benton, the Bossier City Council and the Bossier Parish School System for his stellar performance on the show. He did great! Very talented young man ! I’m sure someone here in Nashville will pick you up. Don’t worry! He did great! Sorry this journey ended for him tonight–but that’s only a small bump in the road. He has a great voice & special smile. We will be hearing his name again in the music field soon! Garrett is going to do great regardless!! God has great plans for you Garrett! I think his real journey is just beginning. Keep on singing Garrett… You’ll make it big In your own time!!!! I loved your voice!!!! ???? Idol is just a judge’s call….bs…i watch the voice..at least random assessments..from far left to right..sorta like Democrats.. Republicans..and whoever…. So proud of you Garret!